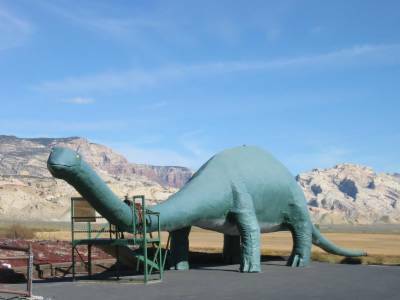 It’s Free to sit in the saddle of a real Brontosaurus. His (her?) eyes are real yellow light bulbs. I was unable to view this at night, I had places to be, yellow Aspen leaves to see. PreviousT-Rex acting out his Godzilla envy.